The diminished physical ability I have been living with is becoming increasingly more limiting leaving primarily the autonomic nervous system. When I acknowledge the disease progression and how some functioning is becoming nearly impossible to do and my strategies are no longer effective, I feel grief and need take time to mourn for what was and will never be again in this glorious body that has taken me so far. Usually the grief lasts a few hours to a few days. This is very different, because it used the last for years. I have evolved emotionally and spiritually with the understanding, the profound revelation that I am not my body, nor am I my strategizing mind. My empathy and love for self and other is growing exponentially. This curriculum has given me the opportunity to live more from my Soul. Some people call my journey courageous; some people call it miraculous. I just call it what is. I can either kick and scream (although I can literally do neither) or I can just choose to say yes to the new level of functioning, my new baseline. What I am finding with this accelerated curriculum is that with loss always comes a new awareness I had not been previously able to access prior to the limitations. I am not a saint and I am not an exception. I am just no longer interested in suffering on a day-to-day minute-to-minute basis. If I am unable to control anything physically, I can control my reaction. And that is about all I can control. 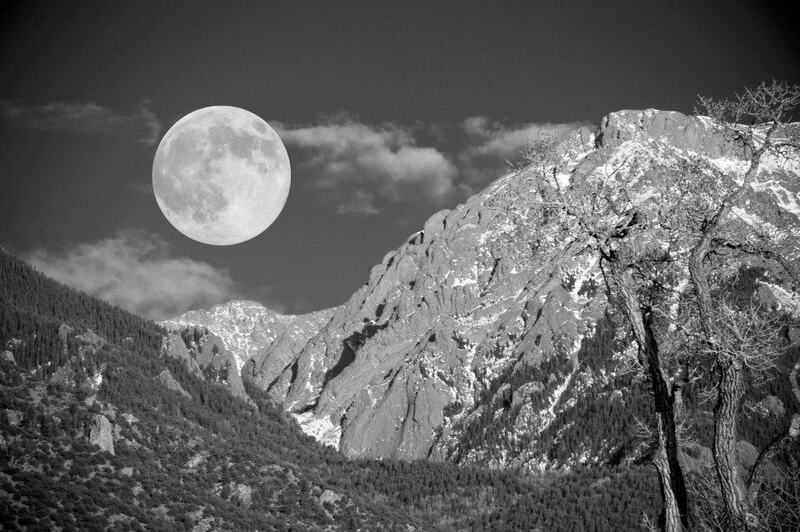 Being alone nineteen hours a day, sitting overlooking the 14,000 foot mountain range called Sangre de Christos, I am realizing the importance of the spiritual teachings of Ram Dass and others. As a collective consciousness we are moving from the third dimension to the fourth dimensional reality. The latter involves unitive consciousness. The field of unity is already around us. People are gradually being able to access this field to eventually reach a critical mass where the rigid boundaries of duality will be rendered unnecessary. We are moving into Love. I am realizing the wisdom in choosing this curriculum as a default in order to assure the integration of this teaching. This is a very different response from feeling victimized by a random, mysterious disease constellation. As I let go of each ability on the physical level, I open to a new ability on the subtle level. From this perspective, I wonder what disability really means. The liberation possible from reconfiguring the evolutionary potential of suffering is immeasurable. I am seeing that whatever the challenge that may seem catastrophic from our human/ego perspective, there is always a gift on the other side. Fully experiencing the grief is essential and once on the other side of the seemingly endless grief, there is the opportunity for transcendence. Transcendence is beyond the five levels of grief Elisabeth Kubler-Ross generously illuminated. For me, I now understand that this rigorous curriculum was perhaps the most expeditious way and perhaps the only way for me to access this state given the trajectory of my choices during this lifetime. The surrender into transcendence is where the fourth dimension lies. I’m convinced that this is what my father who had been a lifelong atheist described on his deathbed, “heaven, a place of tranquility.” I am realizing that whatever the challenge that may seem catastrophic, there is always a gift on the other side. The opportunity is that we reach this place beyond acceptance into transcendence where suffering may no longer be necessary for growth. Many are being called to this expanded state of consciousness, the dimension where love and unity are the only reality. Crestone is a small mountain town, basically in the wilderness in the Sangre de Christo mountain range of Colorado. In order to access Crestone, you must pass through Salida from the north or Alamosa from the south. It is a four hour drive from Denver international Airport International, where you will eventually turn east onto T Road and drive west toward the 14,000 foot mountains. Geographically, it is complicated to access, aesthetically, it is breathtaking to behold, but energetically, it is almost impossible for many to land comfortably in Crestone. After living here for eight years, I have come to understand that Crestone has a vibrational frequency different from most other geographical locations. It is as if one’s vibrational frequency must already be or become compatible with Crestone in order arrive comfortably or to stay for an extended time. It has been described as entering another dimension. There are many anecdotal stories describing people’s entries into Crestone that seem auspicious and/or catastrophic but also serve to calibrate the individuals to the frequency. The first chapter in my book Meet Me By the River: A Woman’s Healing Journey, Shattered, describes the catastrophic accident that marked my entry to Crestone. During the drive from Louisiana to Colorado, I accidentally rolled down a steep hill in my wheelchair somewhere in Missouri and shattered my femur resulting in major orthopedic surgery using a stainless steel plate and nine screws to hold the pieces of bone together. A secondary result of shattering my femur was the shattering of my marriage with David. 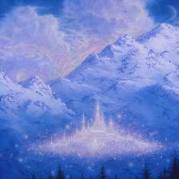 I now understand these circumstances were necessary for the energetic attunement in order to fully enter the frequency being offered in this majestic town. It is rare for marital relationships to last more than six months in Crestone and mine was no exception. I suspect some relationships need to be recalibrated as they are not necessarily serving each individual’s highest good along their spiritual paths. Living inauthentically in Crestone is not a pleasant option. Much is demanded upon each individual to live with integrity and Heart depending on where they are in their particular evolvement. Local legends describe how the mountains decide who is to stay and who is to be spit out. Of course, many people come to Crestone to fulfill their specific, time-limited, karmic roles, like cosmic chess players metaphorically moving the necessary chess pieces around, accelerating their evolution and the evolutions of others involved, and then move on. For some they stay years and others, minutes. The EMTs in the community have observed that when visitors from city life encounter the energetic disparity, they often call 911 to relieve the panic and distress. Whatever it takes; after my entry I have no judgment, only empathy and insight. An accomplished artist in the community once told me, “To come to Crestone, one needs to be able to ‘meet one’s Self.’” Over the years I have seen how true this statement is. Granted, it takes an adjustment for the body to acclimate to an altitude of 8000 foot and the daily temperatures can be extreme. With so little humidity, hydration needs to be monitored closely. Living here is not for the faint of heart. However, for many in the community living here is exactly what we choose, not because it is easy physically, but because the level of intimacy with self and other is like no other place I have been, except maybe for India. In my experience, if one aspires to living a challenging life with a complex curriculum, Crestone and the people who have gravitated here as home can support this undertaking. After traveling to India for treatment for this progressive, degenerative illness and facing my greatest fears of living a life of despair and victimization, I was able to return to Crestone and build a legacy of regeneration with the support of fellow Crestonians. I was not looked at with pity, but I was seen as a courageous soul living in a bigger picture of healing. It is only in retrospect that I appreciate the support I have received from both seen and unseen helpers. It is under these 14,000 foot mountains that the deepest yearnings of my Soul could be realized.